One of the most critical components of achieving the hairstyle you desire is getting your hair texture right. You may have an idea of how you want to texturize your hair, but sometimes it takes a little experimenting. Adding texture to your hair isn’t too difficult, even if you wear hair extensions frequently. The most important thing is to ensure you have the right products to create and maintain the texture while you style your hair. Here are some tips on how to achieve your desired hair texture easily. Many people view a protective hair serum as a product mainly used as a finisher that doesn’t do much from an appearance standpoint. However, the best protective hair serum can absolutely play a big role in how your hair texture turns out. Not only do serums like this provide some added shine, but they also pair well with other products, and using a little bit will go a long way in transforming your hair. If you believe you’re using too many hair care products and still not achieving the texture you desire, it could be because of the shampoo you’re using. A great sulfate free shampoo will give your hair the perfect amount of moisture it needs to make it easier to work with. Once you start incorporating it into your hair washing routine, you should notice a big difference in how easy it is to achieve the desired texture. Hair creams can work for some people, but not for others. 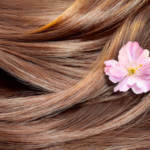 You have to be careful with the creams you choose, as some of them can make your hair appear to be oily. A quality recovery cream conditioner provides the perfect balance to allow you to work with your hair, while not creating an appearance that’s too oily or too dry. Hair spray is always an easy option when trying to hold the texture you’ve created. The only problem with most hair sprays is they are only temporary, and if you use too much, it can make your hair look stiff. 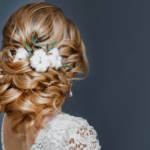 Using a great sulfate free shampoo can balance this out a little bit, but still use hair spray as sparingly as possible. At RemySoft, we have all of the products you need to achieve the perfect hair texture you want. A great protective hair serum is usually our first choice for most people, especially when combined with a great sulfate free shampoo. To learn more about our products or to receive more helpful tips and advice on achieving the perfect hair texture, contact us today.